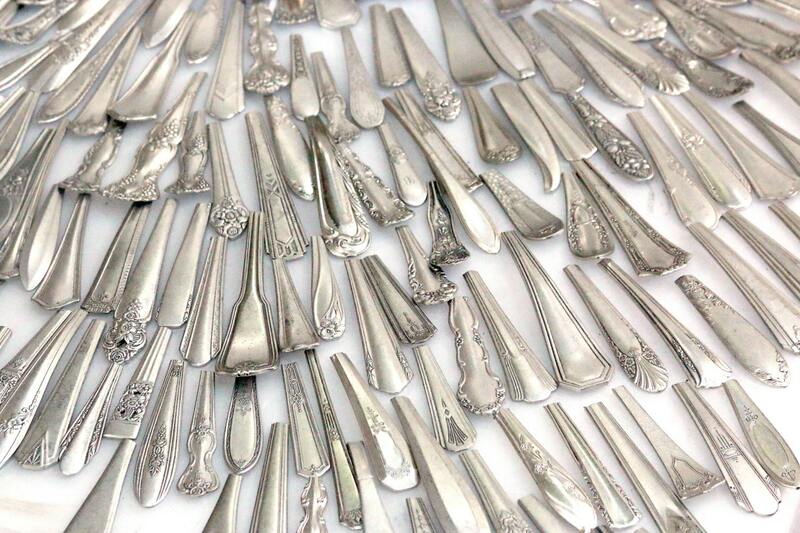 Bulk Silver-plated flatware ends. Great for Spoon Rings, pendants, ornaments & engraving. Handles only! Use for key Tag key Fobs. 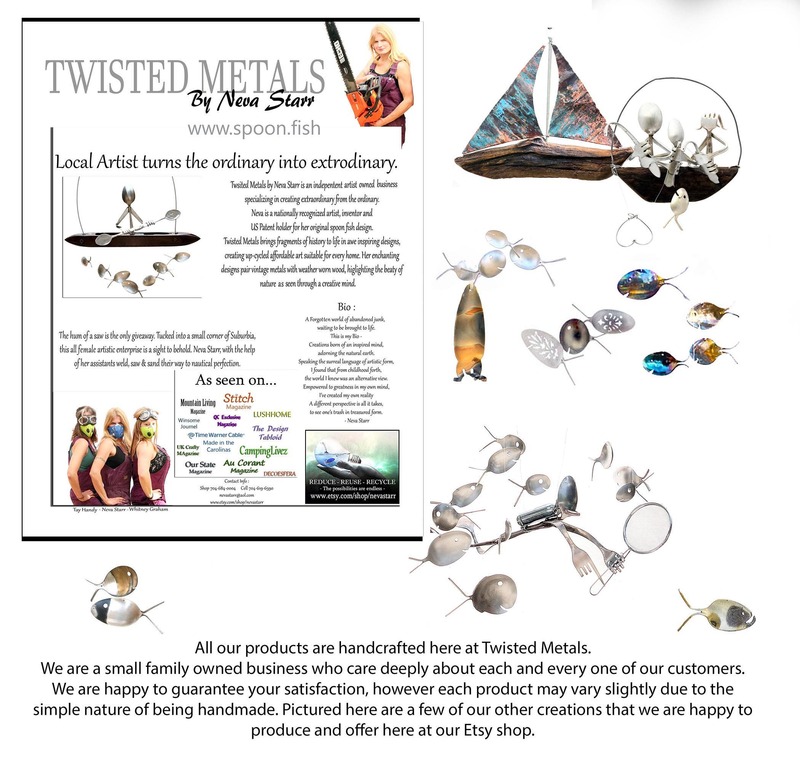 Wholesale Bulk Metal smith Jeweler supply. Large dependable clean lots, reliable source. 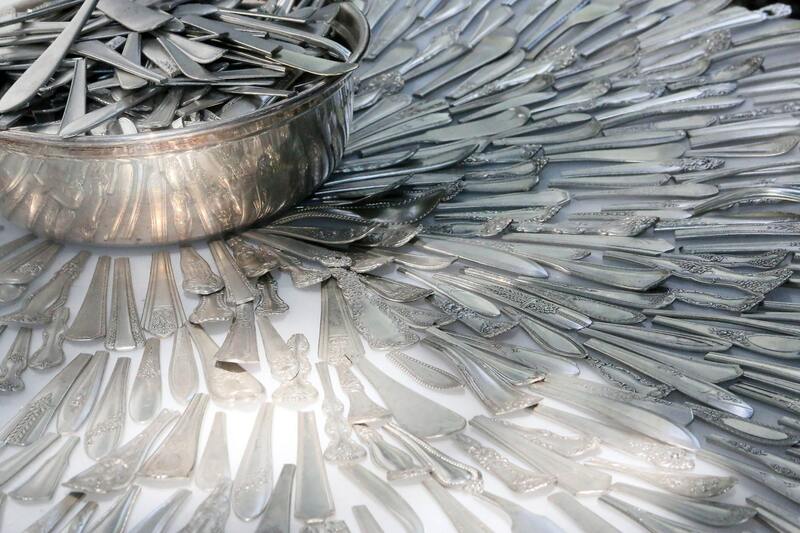 Silver-plated silverware, flat ware & utensils. 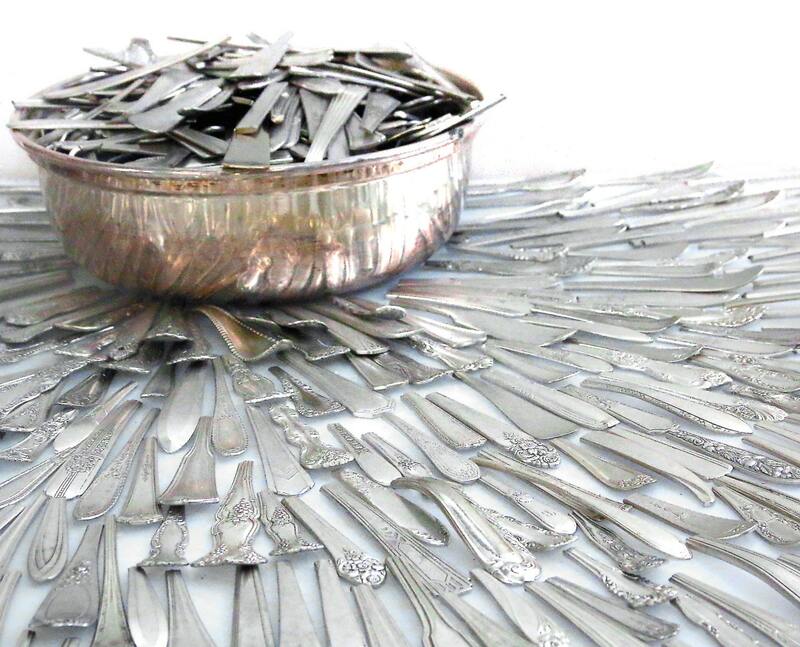 Turn this recycled silverware into up-cycled art. History re-purposed. 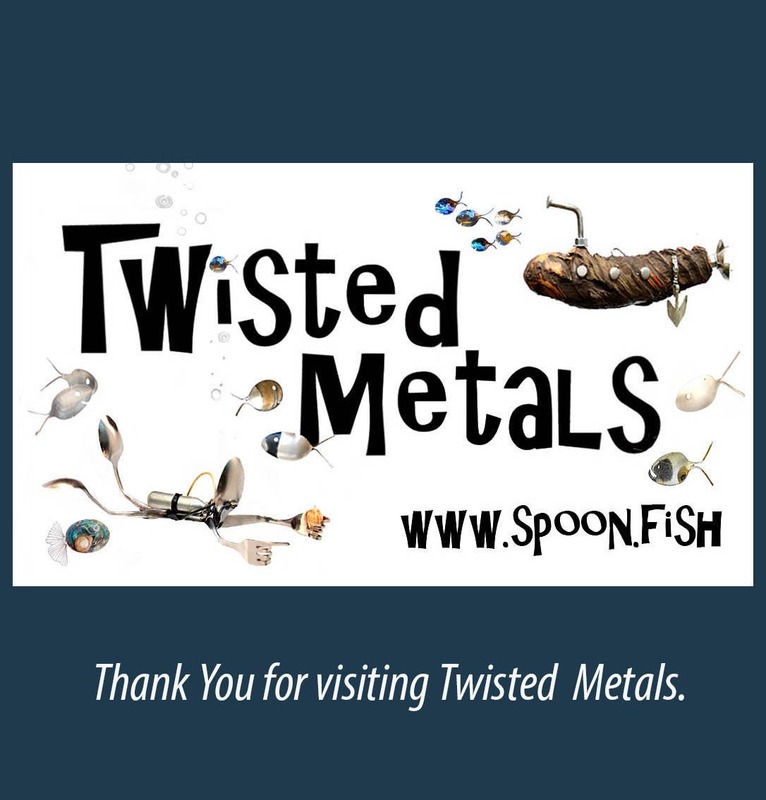 Unique flatware or silverware pendants , bracelets & jewelry. Silver spoon ring jewelry & crafts. Silverware stamping supplies. Metal stamper stamping blanks and supplies. 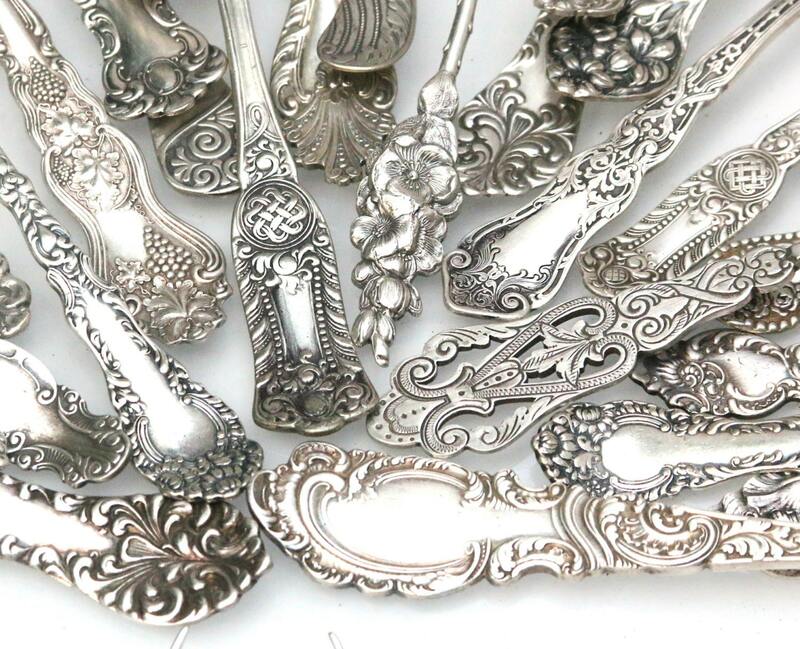 These assorted silver plated handles are perfect for jewelry rings, pendants and earrings. Embellish them or even use plain. Easy to drill with a press or even steady hand. Try bending,stamping, letter punching & engraving your way to amazing art. Choose how many you need. Greater quantities receive greater discounts. - These have all been lightly polished, cleaned & sanitized. A final polishing is recommended. - Ends are smoothed - no sharp edges! You may choose from random assortments or have us sort into fancier styles. Please note Larger lots shipping to foreign countries may have an additional shipping charged incurred. We will keep the charge as low as possible. Typically it ranges from an additional $10 - 15. This is to keep the shipping down for everyone on all the lots. If you have any questions or would like a private listing please contact me. 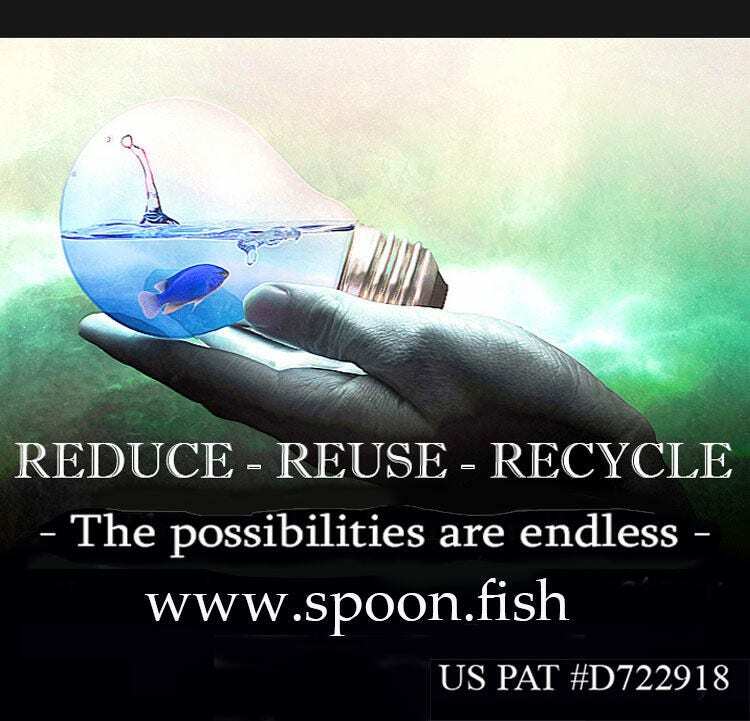 bulk spoon jewelry wholesale,silverware, spoons, upcycled silverware, repurposed silverware, recycled flat ware, up-cycled flatware, re-purposed spoon, sterling silver plated spoon handles, sterling silver plated spoon pendants, wholesale spoon jewelry, wholesale silverware jewelry, metal for metal stamping, antique silver spoons up cycled flatware	silverware jewelry	spoon jewelry bulk	antique silver fork	metal stamping blank	old spoon pendant	sterling silverplate	wholesale recycled	upcycled silverware	repurposed flat ware, utensil craft bulk	spoon handle rings,silver ware parts Eco chic Earth friendly supplies. 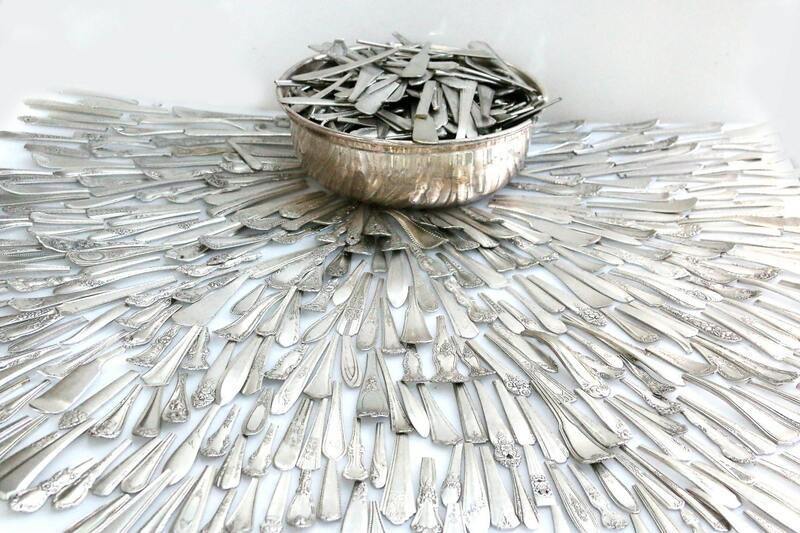 Turn this recycled silverware into up-cycled art. History repurposed. Unique flatware or silverware pendants , bracelets & jewelry. Silver spoon ring jewelry & crafts. Silverware stamping supplies. Metal stamping stamper blanks and supplies.